There are those that said Diablo 3 on a console could never work - and now it might just be the best version of the game out there. With the Fall season rapidly approaching several of us our attempting to wrap up our backlogs, though some of our backlogs stretch as far back as LAST fall. Nick Puleo (@NickPuleo) - "II'll be diving into ancient Rome and conquering the world in Total War: Rome II as well as wrapping up The Last of Us." Andrew Gaskill (@cubninja) - "I'll be ghosting my way through Splinter Cell: Blacklist and couch co-oping Diablo 3." Mike Katsufrakis (@Pheriannath) - "The the fourteenth installment of the Final Fantasy series awaits me, as well as some Killer is Dead. If I have extra time, I'll be putting the wraps on Saints Row IV." Marc Allie (@DjinniMan) - "I will be cleansing a massive ancient spaceship for the glory of the Emperor in Space Hulk. " Jason Love (@JLove55) - "I'll be wrapping up Dragon's Crown with a friend and hopefully, maybe, possibly, finally playing some Payday 2 with some actual people." Eric Murphy (@smurph_em)- "I've been itching for some more Crackdown (1 or 2), and I really need to make some progress in Mass Effect." Locke Vincent (@LockeVincent) -"I'll be putting on a jolly good show and streaming Foul Play. For second breakfast I'll be running Frodo ganks all weekend in Guardians of Middle Earth." Tally Callahan - "Playing catch-up on work after being sick as a dog this week. 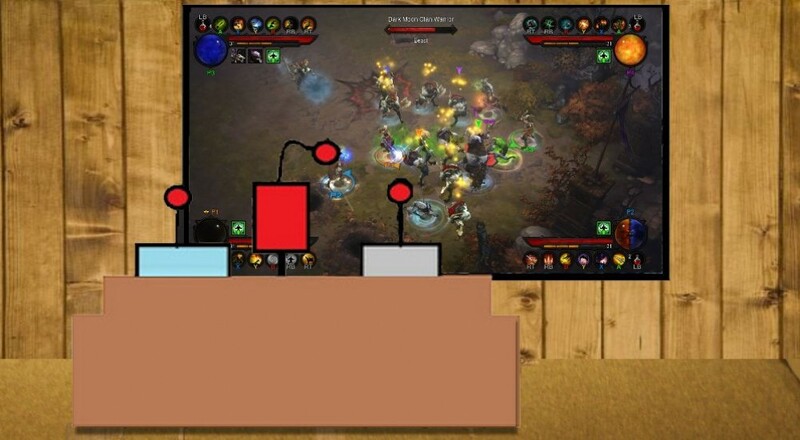 Playing some Diablo 3 on console when I have the chance for upcoming review!" Sam Tyler (@thereelsamtyler) - "Its a weekend for my chaps and I to play local co-op; Foul Play, Final Fight, The Simpsons, to name but a few." Chris Metz (@The_Lemko) - "I can't stop playing PAYDAY 2 guys... I think I might have a problem. Luckily, Animal Crossing: New Leaf is just as addicting." John Bardinelli (@itsamejohn) - "Going to investigate the new Borderlands 2 level cap and arena. I gots to have those skill points!" Justin Reynolds (@justinsocial) - "Just moved and have nothing set up yet. I'll be running on walls on Gravity Rush for the Vita." Taylor Killian - "I'm eager to get my 2d platformer on and blast my way through some 4-man Mercenary Kings." Page created in 0.6777 seconds.